Doug Doescher is the 8th grade Industrial Technology teacher at Fremont Public Schools in Nebraska. He encourages students to use technology to find everyday things needing improvement, and to engineer a solution. In December 2016, Fremont Public Schools purchased six Afinia 3D printers for their school, using funds from a local grant. It didn’t take long before students took notice of the printers’ capabilities, and their popularity spiked. “We constantly have kids coming to our free class periods wanting to design one of their ideas,” says Doescher. 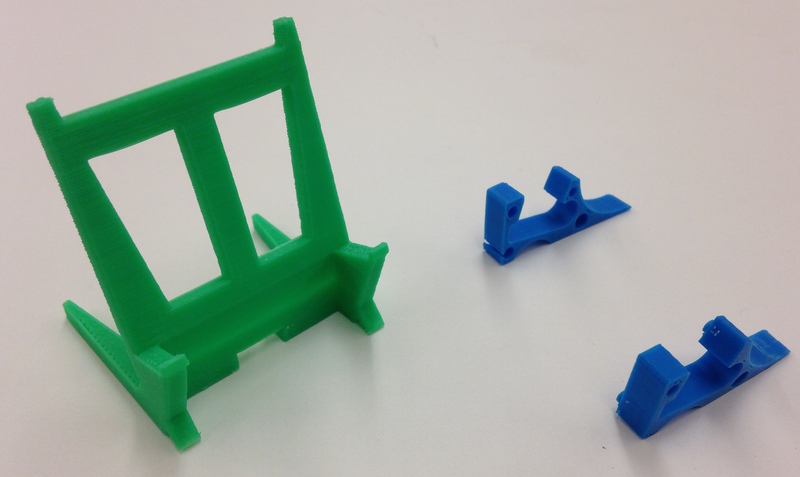 Cell phone stands designed by Doescher’s students. Doescher explains that the students use Sketchup software, which has proven to be simple for them to use, but also allows advanced enough capabilities for students with more design experience. Variety of 3D prints by the students. It is always interesting to see what kind of impact new technology will have on students. 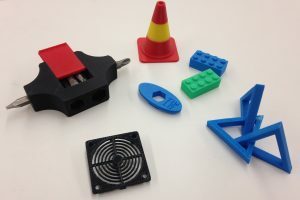 It did not take Doescher long to see the change spurred after introducing 3D printing in his class: “The biggest change I’ve noted is the kids’ creativity coming to the surface,” he shares. Doescher makes sure that students find real-world value in their classroom experiences. He encourages students to think of an everyday problem, and then engineer a solution for it. The students are rising to the challenge, and have come up with new ideas to improve daily life, both in and out of the classroom. 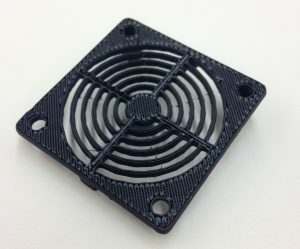 Doescher’s class designed a fan cover to fit their Afinia 3D printer.